Summer officially kicks off Thursday, June 21st, but we’re already in the summer spirit! We’re enjoying amusement parks, barbecue food, building sandcastles, longer days with more sunshine, playgrounds, summer reading, visits to the local ice cream shop, and weekends on the shore! I’m here to share all the ways you can use essential oils and Young Living products this summer! “Beach House”: Mix equal parts Grapefruit, Peppermint, Orange, Lemon, and Bergamot with distilled water. 2 drops Peppermint Vitality, 2 drops Ginger Vitality, 2 drops Patchouli, 5 drops V-6 Vegetable Oil Complex (or carrier oil of your choice). Rub blend on chest and stomach 1 hour before traveling via boat, car, or plane! * Concerned about the low SPF? Read this EWG (Environmental Working Group) article on what’s wrong with high SPF. In a small bowl, mix ¼ cup + 2 TBS V-6 oil (or carrier oil of your choice) with 5 drops Bergamot, 3 drops Lavender, 2 drops Sacred Sandalwood, and 2 drops Wintergreen. Add mixture to ¾ cup raw sugar in a larger bowl and combine thoroughly. Store in an airtight jar. HINT: Use about a tablespoon for each foot. Be careful! The scrub can make your shower slippery! Bring 2 cups of distilled water to a simmer without boiling. Combine the warm water and 1/2 cup Lavender Mint Conditioner or Lavender Conditioner in a 24 oz. spray bottle, shaking to combine. Add the recommended essential oils to the detangling base (see below for hair type), shaking once again to distribute. Combine 2 ounces water, ½ tablespoon vegetable glycerin (or carrier oil), and 6 drops of essential oils (see below for skin type) to spray bottle and shake well. 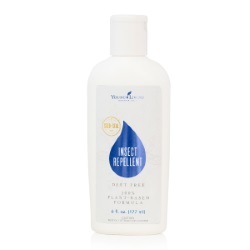 Hold spray bottle about 12 inches from face and lightly spritz skin 2–3 times. Let dry. Enjoy! Refresh and recover from a day in the sun. 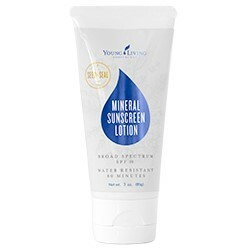 This naturally derived after-sun spray offers temporary relief from the pain and itching of minor burns, minor cuts, sunburns, scrapes, insect bites, and minor skin irritations. Combine 1 1/2 tsp. aloe vera gel, 4 drops lavender, 2 drops peppermint in a 1 oz. spray bottle, and fill the rest with distilled water. According to the Essential Oils Pocket Reference, 7th Edition, essential oils such as lavender and peppermint reduce insect bite-induced itching and infection. 10 drops Lavender, 4 drops Eucalyptus Radiata, 3 drops German Chamomile, 2 drops Thyme. Apply 1-2 drops of blend neat or diluted 50:50 on location 2-4 times daily. Let the kids play outside with this easy DIY spray that helps you stay annoyance-free. Combine 1½ ounces witch hazel, 2 ounces water, 1 teaspoon vegetable glycerin (or carrier oil), 15 drops Citronella, 5 drops Cedarwood, 5 drops Eucalyptus Globulus in a 4-ounce spray bottle. Evenly spray onto exposed skin, rubbing in as needed.